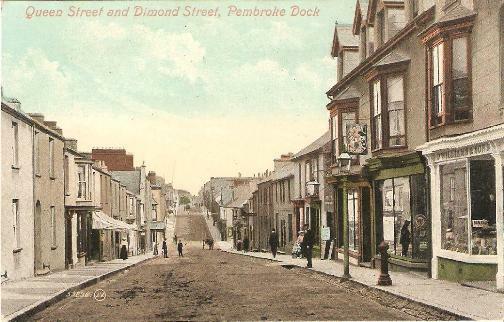 '...I had passed Pennan Pill and drove slowly down the main street of Pembroke to the gates of the castle. '(...) I was safe in Pembroke Castle, as many men have been safe before me. Of all the Welsh castles I had seen this was the mightiest, the richest too in history. Arnulph de Montgomery, perhaps attracted by the great cavern under under the limestone ridge, began the building in the reign of Rufus; Strongbow led his men from its gates in the days of Stephen; in 1456 Henry VII was born within its walls when Jasper Tudor was its lord. All through those stormy years it remained impregnable, until Cromwell brought guns along from Bristol and took it in 1648. 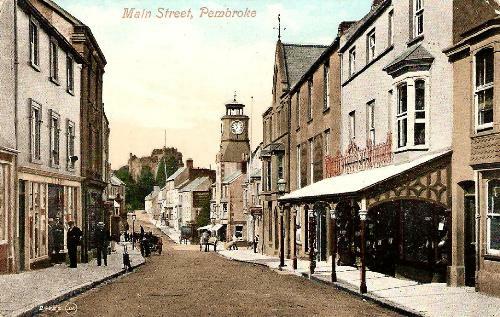 Pembroke is without doubt the castle to see, if you would see a castle, and only my memory of Kidwelly mirrored in the river flood of the Gwendraeth Fach on a spring evening is more beautiful than Pembroke from the small bridge over the inlet.